Next week, during the Consumer Electronics Show (CES) in Las Vegas, a company named Vuzix will introduce a new pair of AR smartglasses that will feature Amazon's virtual personal assistant Alexa. Throughout last year, Alexa was added to non-Amazon devices including the HTC U11, Huawei Mate 9 and a Moto Mod for the Motorola Moto Z series. Just the other day, Amazon said that it will soon release the Alexa Mobile Accessory Kit, which will help developers add the personal assistant to fitness trackers, smartwatches and other devices. Mining the same vein is Vuzik. The company's smartglasses will allow you to ask a question of Alexa and see the answer appear in your field of view. That includes stock prices, sports scores and weather data. By putting Alexa on as many third party devices as possible, it helps Amazon increase revenue since the personal assistant can arrange for purchases to be made from Amazon. The glasses will be available starting sometime during the second quarter, priced at $1,000. Vuzix CEO Paul Travers says that the price will be reduced to $500 by 2019. To take advantage of Alexa's capabilities on the AR smartglasses, a wearer needs to be an Amazon subscriber. Amazon says that it is "excited about the potential of the glasses and the ability to bring Alexa to customers in a new way." Apple's AR smartglasses are supposed to come to market in 2020. Former Piper Jaffray analyst Gene Munster says that the device will become bigger than the iPhone. Vuzik's Travers expects Amazon to eventually offer its own version of Alexa-enabled AR glasses. Google, of course, tried to commercialize AR glasses with Google Glass back in 2012. But the high price of the device, and a very complex distribution structure doomed what started out as a promising new product. 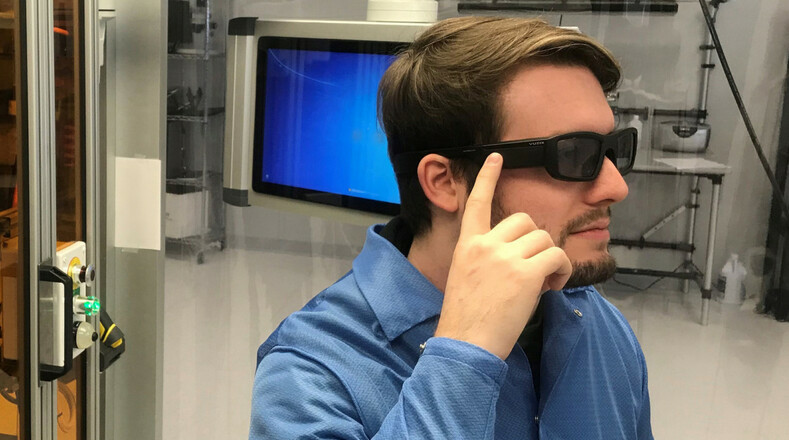 Most of the companies looking to produce this second generation of AR glasses have learned important lessons from Google's failure, which should increase their odds of coming up with a successful product. Google's problem wasn't just price but privacy too.